There's more than one F word... For Cassandra Davis, the F-word is fraternity - specifically Delta Tau Chi. Accused of sexist behaviour, they have one year to clean up their act. 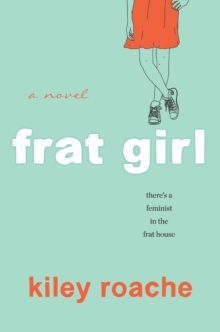 With one shot at a scholarship to attend the university of her dreams, Cassie pitches a research project - to pledge Delta Tau Chi and provide proof of their misogynistic behaviour. After all, they're frat boys. Exposing them should be a piece of cake. But the boys of Delta Tau Chi are nothing like she expected and soon, with her heart and future tangled in the web of her own making, Cassie realises that the F-word might not be as simple as she thought after all.